E3 has officially kicked off, and video game news has been showered upon the the world in torrents of information. One of the games that was revealed yesterday during Ubisoft's E3 2013 press conference was a game set in the Tom Clancy universe by the name of The Division. The Division takes a unique spin on the Tom Clancy mythos, asking the question of what happens when the big disaster strikes. The game world of The Division assumes a form of a dysotopian and anarchistic homeland. Cue "the division," a group of highly trained operatives tasked with rebuilding what was once lost. At it's core, the game is a third-person action/online/RPG hybrid. While the developers over at Massive Entertainment want to refrain from calling it an MMO, they acknowledge the similarities that The Division has with that genre. There are no strict classes in the game, although there is a skill system that can be followed in any fashion. There is also the abliity to respec your character on the fly, essentially allowing you to adapt your battle strategies as they are needed in game. While essentially an RPG, The Division also draws heavily from survival themed games such as Day Z and The Last of Us. When your player begins the game, he only has three days worth of supplies - the rest must be scavenged for. There is an overall feeling of dread, collapse, and hysteria that adds to the tension of the game. The goal of the developer is to encourage players to explore, discover, and ultimately survive a society pushed passed the brink. They will do so in a persistent multiplayer world, the specifics of which are still unknown. Perhaps the most interesting aspect of The Division comes from the companion app that will be released for mobile devices. It will allow players to control a drone that can spot enemies and assess combat situations. There is also an upgrade progression specifically for the drone. 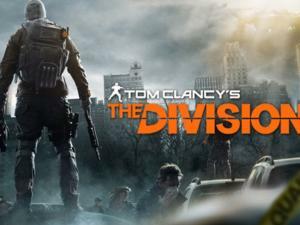 Tom Clancy's The Division will launch for the Xbox One and the Playstation 4. More information will be revealed as it becomes available. For a look at the official Ubisoft E3 reveal, check out the video below. Page created in 0.2924 seconds.